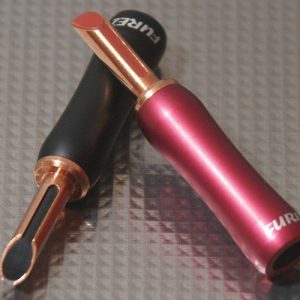 Planning a DIY speaker Cable Project? Our Cable Splitters provide you a perfect way to transition a multi conductor speaker cable into individual conductors without the use of cable boots or just using heat shrink over the transition. 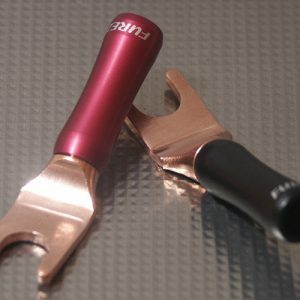 Using cable splitters will give your finished cables a very professional look. 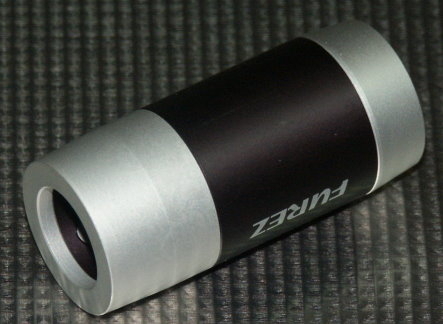 Available in several configurations to fit most cable projects. Priced per pair. 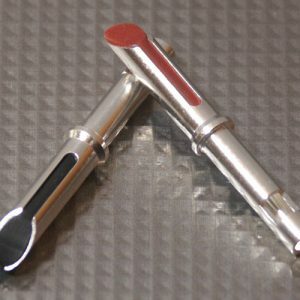 Typically, you’ll need one pair per cable. 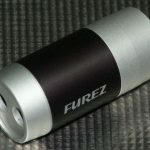 The BCS11-122 version of the Furez custom cable splitters is designed for the Furez FZ122AS Custom Speaker cable assemblies utilizing a braided sleeve over the cable jacket and heat shrink covered individual conductors. 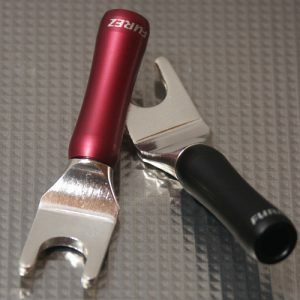 The typical use of this cable splitter would be for 12AWG two conductor speaker cables but can be used for any appropriately sized speaker cable. 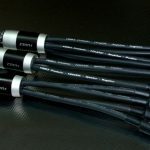 Speaker cable sizes vary greatly and you should check your cable dimensions before deciding on a specific cable splitter. 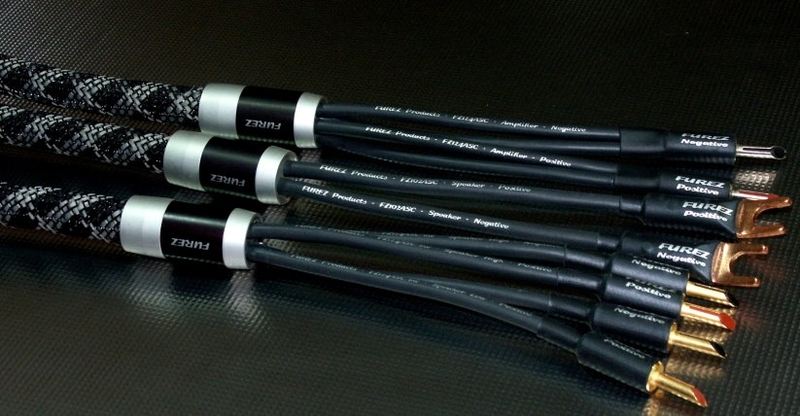 The Furez BCS11 custom speaker cable splitters are constructed of clear and black anodized aluminum with removable front and rear end caps. 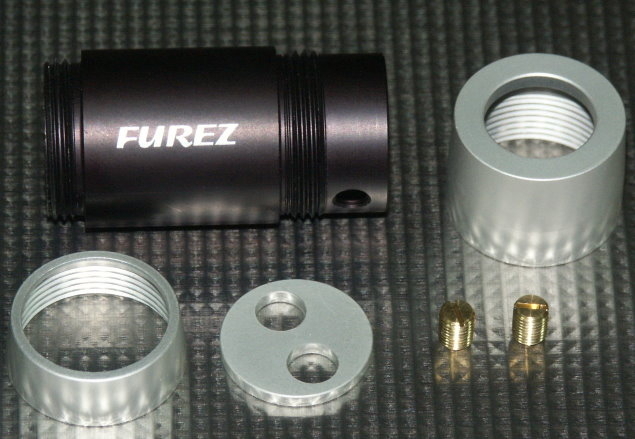 The unique design of the Furez cable splitter conceals the opposing cable hold down set screws for the cleanest possible appearance. 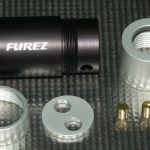 Unlike heat shrinkable breakout cable boots, the Furez custom cable splitters can easily be reused if a mistake is made in the cable assembly or if you change the speaker cable configuration. 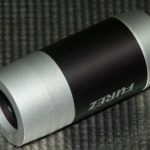 • Overall Dimensions: 1.69″ (43mm) L x 0.78″ (19.9mm) Dia.